Click on any product above to Purchase Online. It is best to think of plantar fasciitis as a form of tendinitis. It is overuse of the “tendon” that connects the heel to the front of the foot. As the arch flattens, the fascia is over stretched. The iliotibial band is another region of the body that has a fascia. Just follow my home treatment guide. The videos are very educational. If symptoms are not resolving, please follow up with your nearest Podiatrist. You should notice a 50% reduction in symptoms within the first two weeks of starting my treatment method. Full resolution of plantar fasciitis can take 2-4 months. The main cause is overuse. Too much standing or walking in shoes that are not supportive. Being bare foot or in sandals for long periods of time. New hard flooring at home. Yes. It can take several months or years without any treatment. This means you will be in pain for that period of time. To treat plantar fasciitis you must support the arch and stretch. The two must happen together. 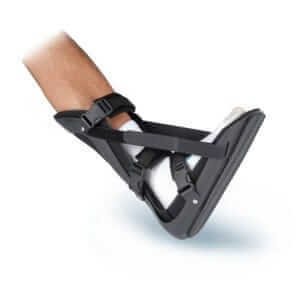 Support with a good orthotic and a stability shoe. 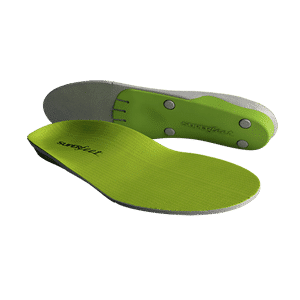 What is a good orthotic, arch support? 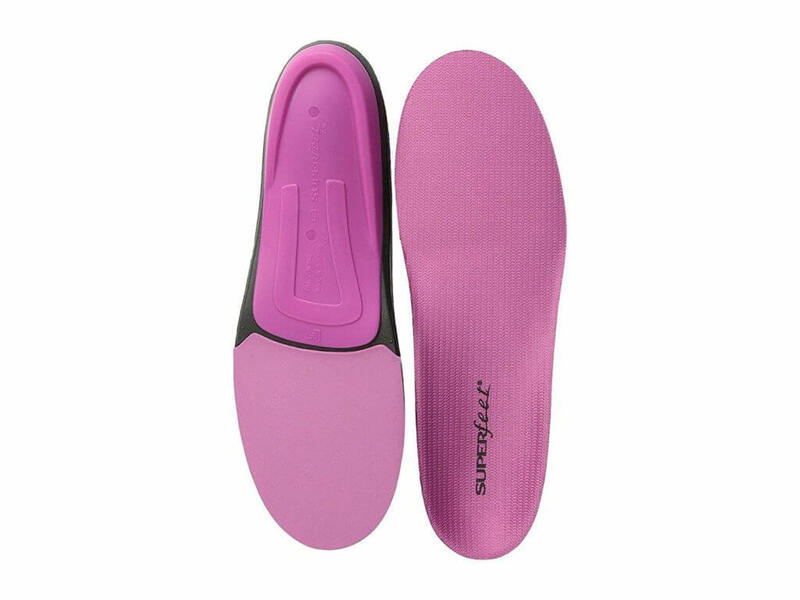 A great arch support is SuperFeet. The green color is most supportive. If it hurts your arch, try blue or berry color. Try the green one first. Buy based on your shoe size. Is stretching the achilles tendon important? Yes. A tight a achilles tendon will make the plantar fasciitis worse. How do I stretch the achilles tendon? Stretching with a Night Splint is super easy. You can wear it at night or behind a desk. It is not meant to walk with. Do not worry if you only wear it for an hour at night, they are not very comfortable. Using an achilles stretch assisted device can also relieve symptoms. What is the most important stretch? Localized stretching on the plantar fascia using a roller or your hand is way better. Be sure to point your toes up in the air when stretching the fascia. Same when rolling on the ground, point those toes up. A stretching video is found at the bottom of the page. What do I do if pain continues? If pain continues, be sure to see your Podiatrist. We are located in Orange, Huntington Beach, Irvine and Newport Beach, California.